✔ Multi-connections – Comes with 2pcs extended to 30cm seamless connectors cables and 1M US Plug Switch Wire,to connect multiple tubes together or just be used singly. 3 pcs safety covers to cover the joints for more secure. 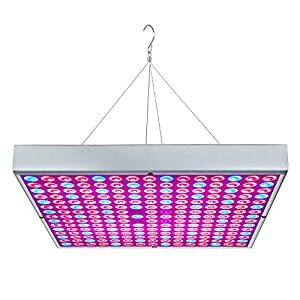 ✔ Full SPECTRUMS—-Totally contains 224 red LEDs(620-630nm) + 36 blue LEDs(450-460nm)+20pcsWarm White+40pcs White, provide everything plant desire in the natural sunlight. Red light is best for blooming and fruits. Blue light is good for photosynthesis.Suitable for all stage of plants. 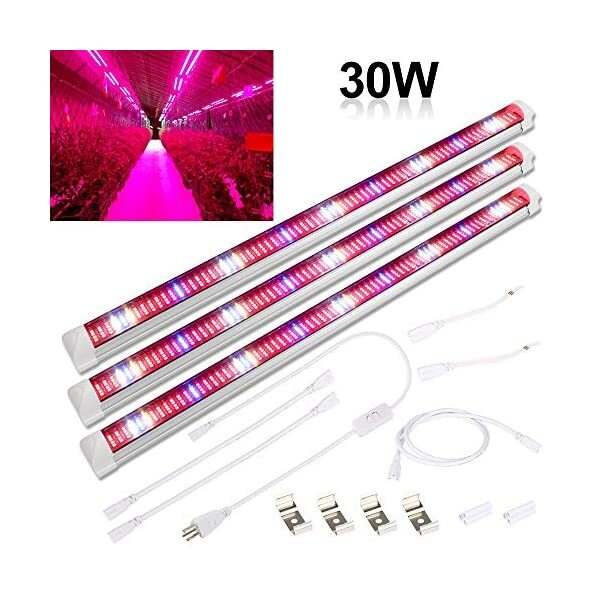 ✔ Widely Used – The length of this grow bar is 2Ft Ultra bright, lower heat and lower power consumption, high luminous efficiency and 50000h long service life. 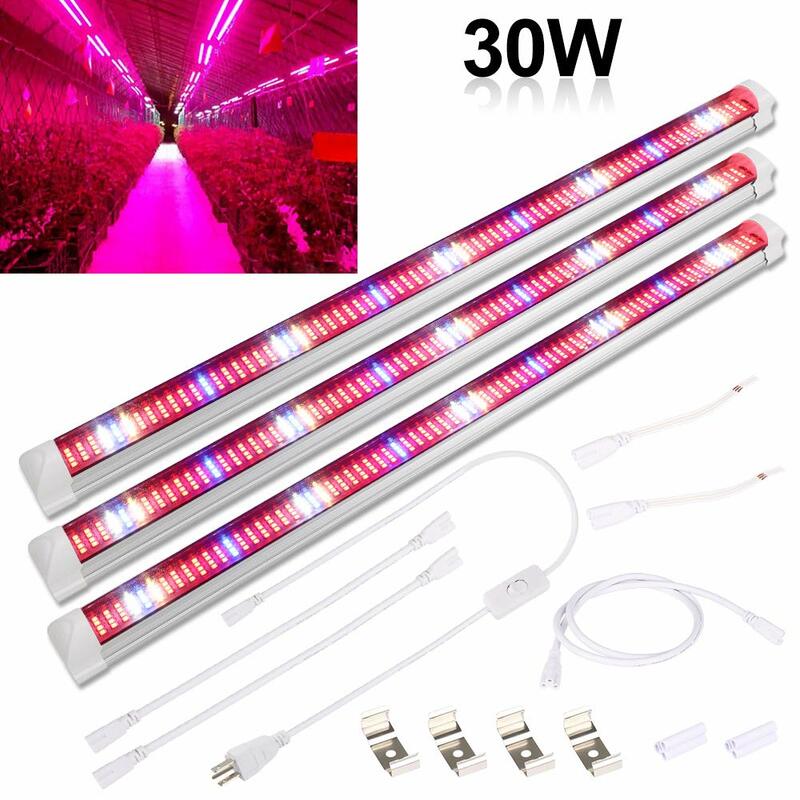 It can be used for indoor gardens greenhouses, flower farming, hydroponic plants and much more in all growing stages. 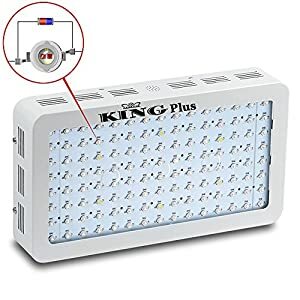 ✔ WHAT YOU GET – 1 x 1M US Plug Switch Wire, 2 x Extended 30CM Connect Cables, 3 x T8 Grow Light Tubes, 3 x sets install components. 2 years unlimited warranty! Simply email us for a quick and easy replacement. ★Before connecting multiple tubes together,please test just one tube once time to see if single tube is work well,to protect your electronic switch.and if you have any questions,please feel free to contact us ★✔ Convenient & Easy to Operate—Upgraded DESIGN！This grow light is made of led bar light ,Plug and play direct operation, can be installed at anywhere like your cabinet, home, office with screw. 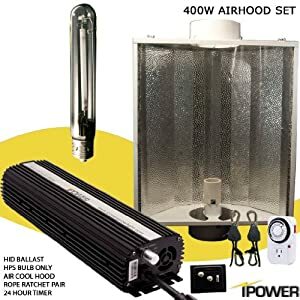 Suggestion installation height: 5-12inch away from plants,12-20 hours of light per day.